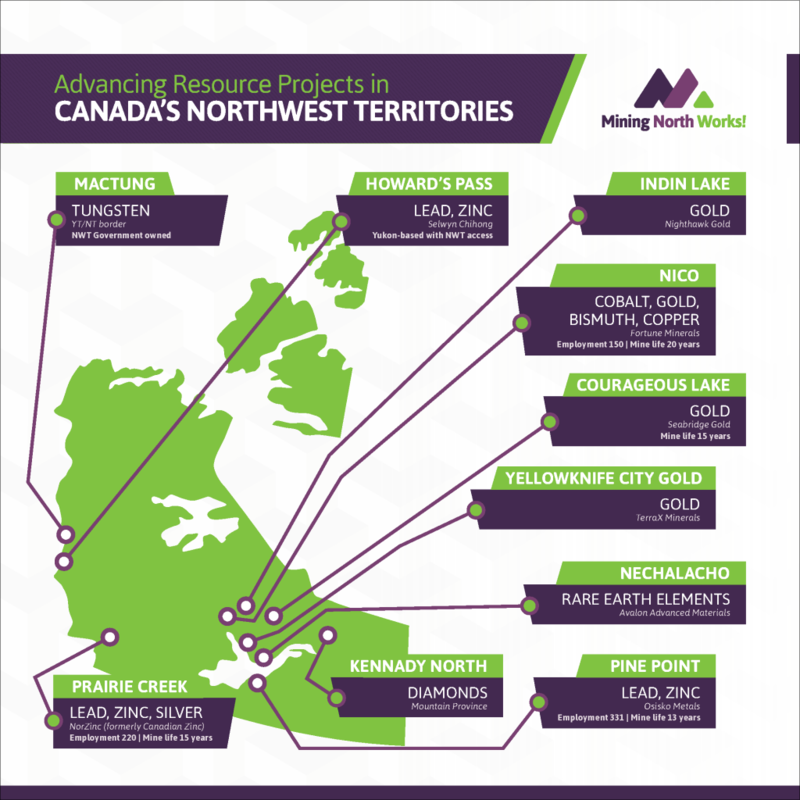 In addition to three operating mines, the Northwest Territories has several well-advanced projects that could become operating mines – bringing potential new opportunities for northerners. Prior to becoming operating mines, these projects will create several hundred construction jobs. Mine construction employees can transition to full-time jobs for the operating phase. Meliadine is set to become Nunavut’s newest mine. Located near Rankin Inlet, and currently under construction, it is scheduled to begin gold production in second quarter of 2019. The Amaruq satellite deposit of nearby Meadowbank Mine, is scheduled to begin gold production in first quarter 2019. Some projects, including NICO, Prairie Creek, and Pine Point, have employment and mine life projections. 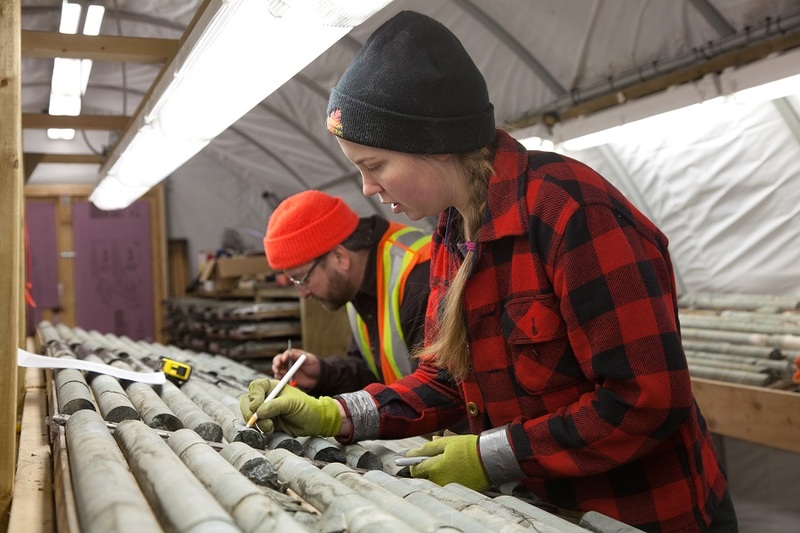 Other projects with potential to become mines include Kennady North (diamonds), Indin Lake (gold), Courageous Lake (gold), Selwyn (zinc-lead), Nechalacho (rare earth elements), and Yellowknife City Gold. 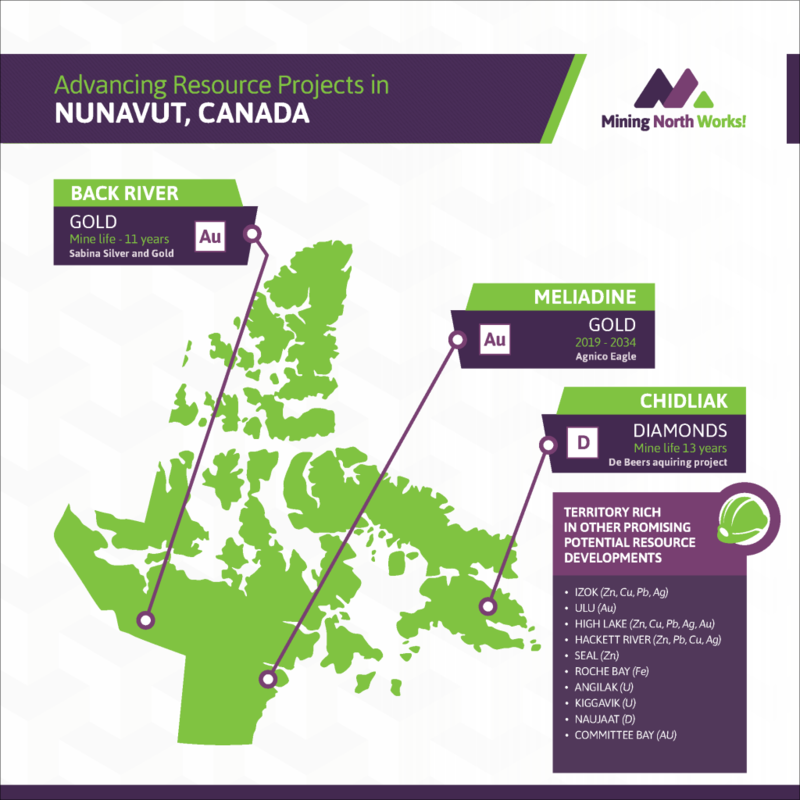 In addition to its three operating mines and mines under construction, Nunavut also has many well-advanced projects that could become operating mines. These include the gold deposit at Back River as well as the Chidliak diamond deposit. Still other projects with potential to be mines include Izok, (copper, gold, zinc), Ulu (gold), High Lake (base metals) Hackett River (base metals), Seal (zinc), Roche Bay (iron), Committee Bay, (gold), Kiggavik (uranium), and Naujaat (formerly Qilalugaq) (diamonds). Advanced projects have measured deposits and/or have completed or are in the environmental approvals process. Scroll down for Nunavut and NWT advancing projects’ infographics.